Oh &$#%#&@!! 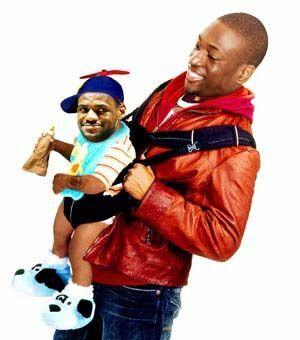 Hahaha LeBron went did his powder throw. It was kind of unexpected that Big Z got a warm welcome back. Im Lovin this reminds me too much of the Carter booings ahahha. It's going to be hard for the Heat to run, like everyone says they should, if their bigs don't defensive rebound and let LeBron and Wade get out. The Cavs can't hold on to rebounds. So far, the Cavs are playing pretty good half-court D.
That dunk by Hickson was nasty! Loving his aggression. That dude has been playing with a chip on his shoulder all season. I just wanted to know... 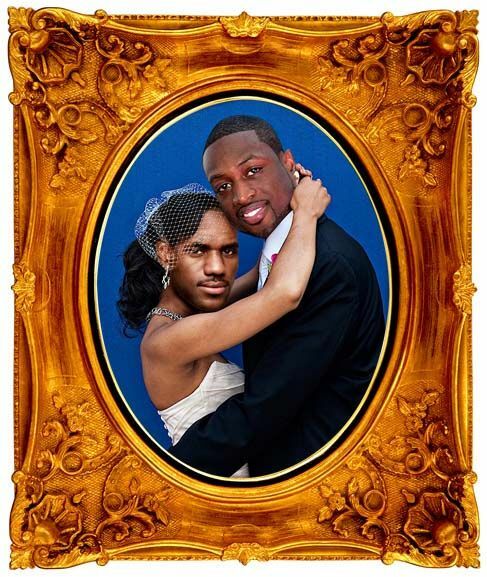 If LeBron is a queen, then what is Bosh? The McDunkin post is one of the best I have ever seen. I don't even know how he finds all those. You got a whole album of pictures or something McDunkin? 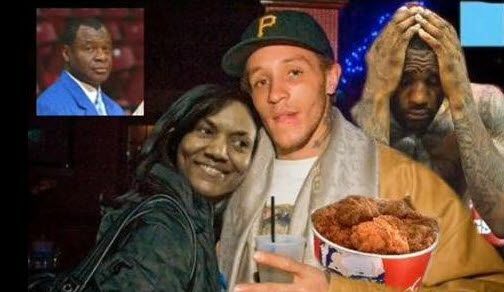 Mcdunkin that post was hilarious especially lebrpn wanted mike beasley gone because he look to much like delonte west. 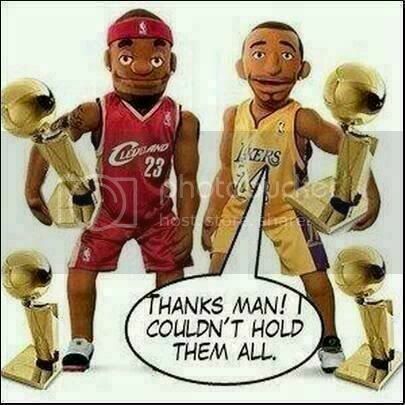 Also that kobe bryant dingling the lebron puppet. Hans +200 for bustin out the original Office dance my man. Mo Williams is forcing up wild shots, trying to be the go-to guy. He will cost the Cavs the game by playing outside his limits. Can't stand this BS with Lebron hanging out at the Cavs bench chatting with Gibson. That is ridiculous. To quote Joe Noah, Whats so cool about cleveland? 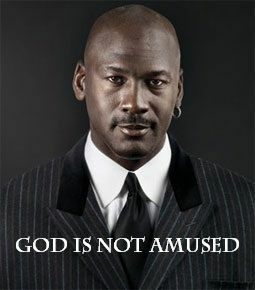 not there team, god are they aweful. Heat are looking good and no disrespect to them, but the Cavs are BAD. Jamison? my god hes aweful. 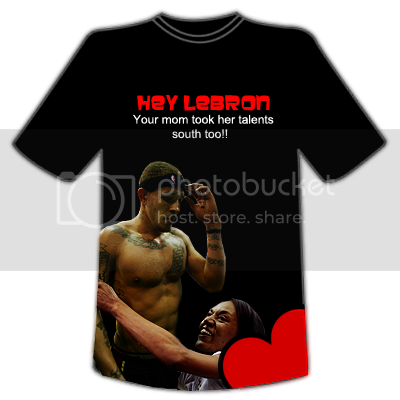 Im also disapointed with the Cavs crowd. This was so suppose to be the craziest atmosphere ever. They had one lame chant and a bunch of boos. Did they really think they were going to be dominating this game? 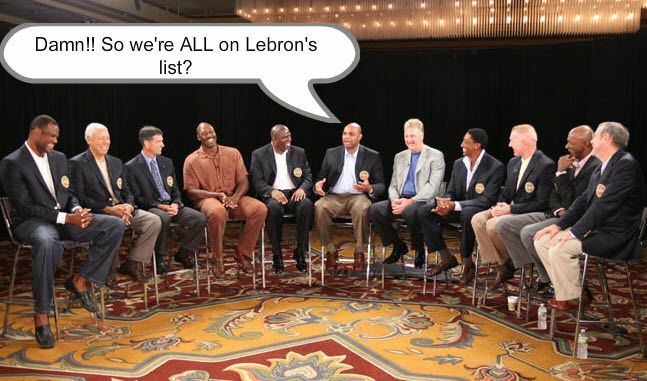 Gibson is making himself look like a joke infront of his team joking with Lebron. 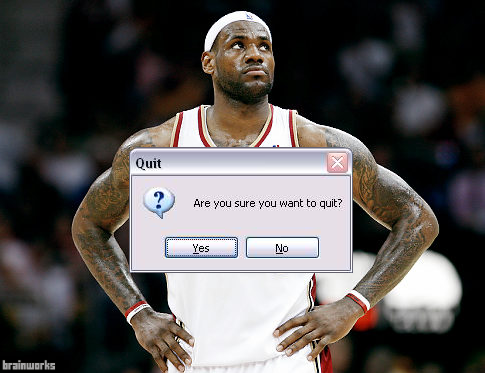 LBJ has this thing totally under control so far. 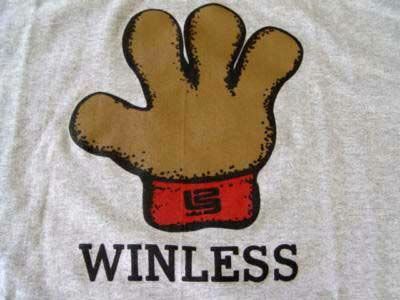 Total fail for cleveland in the first half, but again, its cleveland what do you expect? We will do a better job of booing in Toronto when Rupaul returns February 16th. id say this one was LeBron>Cleveland easily. That was effing sad Cleveland, shameful. As Miami Heat fan since 2002, it's so good to see a scoreboard with Heat 90-50 CAVS. Guys, James made his choice and whatever is thought of it a dynasty gets ready here, James is in the right place. Heat was oppressive on the whole match without having big men. If Bosh decides to make of Bosh, this team will be untouchable, they are going to walk on the water. Where did he go,Did Hickson take a seat after he made that great dunk? I must say this too, whoever brought that sign that sad "Like father, like son" sign to the game, that was classless. Absolutely classless.